Social exclusion of LGBT individuals. Ethical issues in community-based participatory research (hivethicscbr.com). I received my PhD in Public Health Sciences from the University of Toronto in 2006, an MA in Psychology from the University of Toronto in 1994, and a BA (hons.) from the University of Winnipeg in 1989. Prior to joining Laurier, I was a scientist and director of community-based research at the Ontario HIV Treatment Network (2005-2008). I am cross-appointed between the Health Sciences Program and the Department of Psychology and hold an assistant professor (status only) appointment at Dalla Lana School of Public Health, University of Toronto. I am a faculty mentor for Universities without Walls, a national training program for emerging HIV/AIDS researchers, and the ACHIEVE postdoctoral training program at the Centre for Research on Inner City Health at St. Michael’s Hospital. A 5-year, Canadian Institutes of Health Research New Investigator Award allows me to devote significant time and energies exploring social exclusion as a social determinant of health and well-being for gender and sexual minorities in the Canadian context. 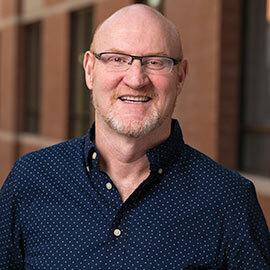 I am the director of the Equity, Sexual Health and HIV Research Group, at Laurier’s Centre for Community Research, Learning and Action. With an explicit focus on intolerance and discrimination toward lesbian, gay, bisexual and transgender (LGBT) individuals and communities, I conduct research on LGBT newcomers to Canada, LGBT youth, and transgender individuals. I also work on a number of other research initiatives focussed on sexual health issues for different populations of youth. I work collaboratively with a number of talented researchers and community partners at the local, provincial and national levels. New Investigator Award, Canadian Institutes of Health Research, Population Health/Health Services (HIV/AIDS), 2011-2016, $300,000.00. I have research internship opportunities for undergraduate students interested in my particular area of work. Contact me for more information. I am willing to supervise community psychology graduate students in the broad areas of HIV/AIDS, LGBT issues and sexual health. Travers, R., Pyne, J., Bauer, G., Giambrone, B., Hammond, R., & Scanlon, K. “Community control in CBPR: Challenges Experienced and questions raised from the Trans PULSE Project.” Action Research. (2013). Munro, L., Travers, R., John, A. S., Klein, K., Hunter, H., Brennan, D., & Brett, C. “A bed of roses? : exploring the experiences of LGBT newcomer youth who migrate to Toronto.” Ethnicity and Inequalities in Health and Social Care. (2013). Klein, K., Holtby, A., Cook, K., & Travers, R. (2013). “Complicating the ‘coming out’ narrative: Becoming oneself in a heterosexist and cissexist world.” Journal of Homosexuality. (2013). St. John, A., Travers, R., Munro, L., Rainier, L., Schneider, M., & Greig, C. “The success of GSAs in Waterloo Region, Ontario: A confluence of political and social factors.” Journal of LGBT Youth. (2013). Khobzi Rotondi, N., Bauer, G. R., Scanlon, K., Kaay, M., Travers, R., & Travers, A. “Non-prescribed hormone use and self-performed surgeries: “Do-it-yourself” transitions in Ontario, Canada’s transgender communities.” American Journal of Public Health. (2013). Cain, R., Collins, E, Bereket, T., George, C., Jackson, R., Li, A., Prentice, T., & Travers, R. “Challenges to the involvement of people living with HIV in community based HIV/AIDS organizations in Ontario, Canada.” AIDS Care. (2013).